In part 1 of this interview, Jason talked about his background, his international travels as well as his restoration of the Sherk’s Hardware Building and the Old Pumphouse, two of Fort Erie’s historic properties that he renovated, repurposed and brought back to life. In part 2 we will focus on his other two big projects: the Sanctuary Centre for the Arts and his new endeavor, the Bell Tower Sanctuary. 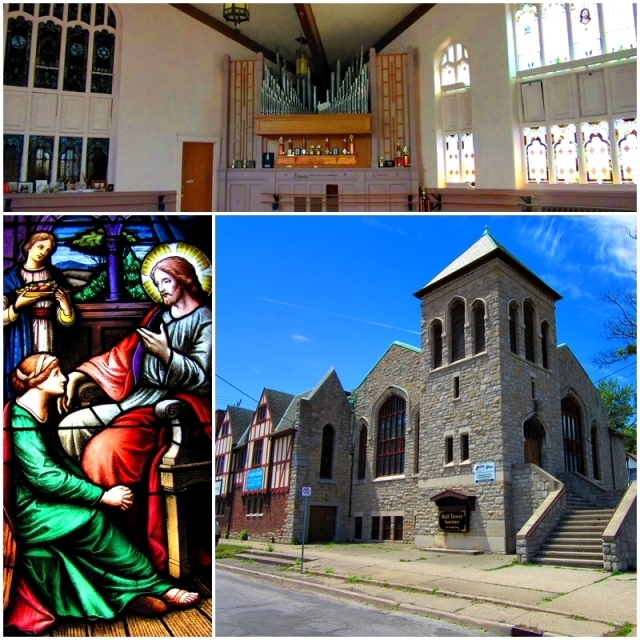 Both of these projects are former churches that Jason converted into multi-purpose arts and events spaces that are now important centres of Fort Erie’s Ridgeway and Bridgeburg cultural scene. Let’s find out how two former churches have become leading edge cultural organizations that attract visitors from all across North America. Some years ago you met a local pastor who approached you with a proposal that turned into a big exciting project. Please tell us more. I met the pastor and his wife at a BIA (local merchants’) meeting and he asked me if I knew anyone interested in their church building. The Ridgeway Community Church was built in 1900 but had lost a large part of its congregation and was no longer viable. As the head of this struggling church he asked me to help brainstorm about future uses or potential buyers for the church building. At the time, Ridgeway really did not have a major draw in town. When I looked at the building I thought immediately that it had great potential for some of the arts and community-related work we wanted to do. So we purchased the building and invited the Fort Erie Arts Council to become involved and program the gallery and to offer arts classes. The idea for a concert venue really took off when I met a local music agent named Paul who had great connections and lots of knowledge of the music industry. Paul really taught us the ins and outs of the music business and was instrumental in the initial success of the Sanctuary as a concert venue. Over time we became friends, and the Sanctuary turned into a popular music venue that today brings in music fans from nearby and from faraway places. As far as performing arts are concerned, the Down the Rabbit Hole Theatre Company runs theatre classes for children at the Sanctuary while The Old Man Rock Band project allows mature amateur musicians who have not played for a long time to get back into music and enjoy participating in live performances. For our concerts we bring in professional musicians from all over Canada and sometimes bands from the US. People travel from far away to see their favourite bands. Actually, we have had people fly into to see our shows. People regularly drive long distances from the US and all over Canada to attend concerts at the Sanctuary. The Sanctuary is still used as a gallery as well, so the visual and performing arts are well-represented. Our unique former church building is also often used for fundraisers, weddings and other special events. Sanctuary Centre for the Arts gets busy with patrons. 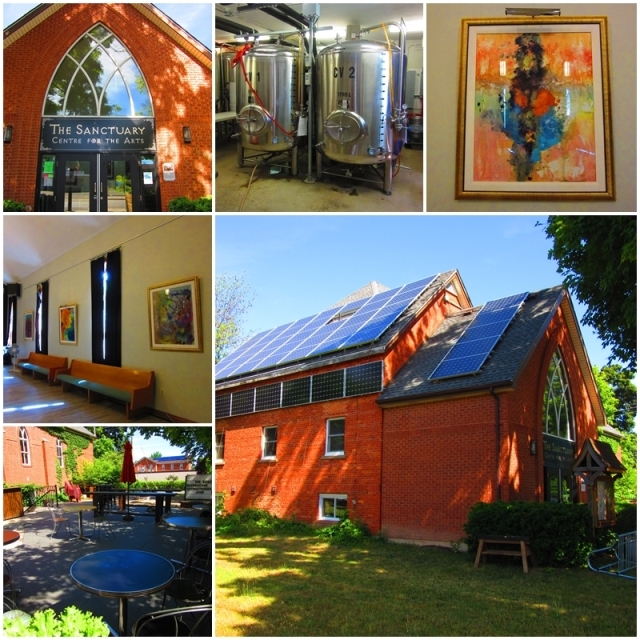 The Sanctuary has become a centre of craft brewing in Southern Ontario. Please talk about the Brimstone Brewery and its evolution over the last few years. You also integrated grass roots community involvement in your brewery. Please tell us about the “Hop Initiative” and the craft beer tourism that the Sanctuary is a part of. The Brimstone Brewing Company is an independent brewery that handcrafts distinct beers, more specifically traditional style ales that use all natural ingredients. As proud members of the Ontario Craft Brewers Association, we stand behind a commitment to producing fresh craft beer of the highest quality. In keeping with the ecclesiastical theme of our former church building, our “Gothic Casual” taproom provides a great setting to explore our beers. Our craft brews include Enlightenment – a blonde ale, Midnight Mass – a chicory oatmeal stout, the Sinister Minister – an India pale ale, the Hail Mary – an American pale ale, and the Apparition – an amber ale. Today, our brand can be found at LCBO stores, and our brewery has become a destination for beer lovers from Southern Ontario, Western New York and places beyond. Brimstone has also started a hops growing initiative that gets interested locals involved in growing hops with the help of rhizomes – small roots that are cut from the main root system of a mature hop plant. It’s really just a fun way to connect with the community. We started the hop growing initiative by asking locals if they would help us grow hops. We had 25 interested locals – and we could have had even more. We sourced hop rhizomes from the Ottawa area and said if you grow these for us we will brew a Thank You Ale and have everyone in for a celebration. We paused last year but will be starting up again as the hops are now prospering. 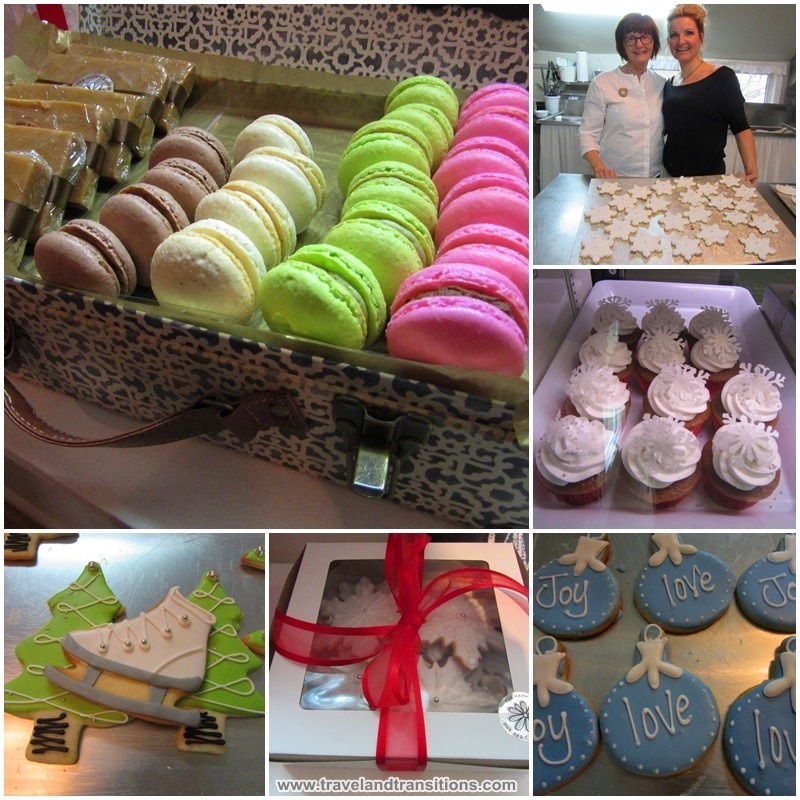 With “Crave Local Fresh” you are also part of the culinary scene in Fort Erie. Please tell us about this restaurant, its menu and its participation in the “Feast Ontario” initiative. Not only does the Sanctuary look after thirsty visitors with the Brimstone Brewery, we also take care of their culinary needs. Crave Local Fresh is a restaurant and catering company run by Matt and Laurie McGregor, and the restaurant is located next to the Brimstone Brewing Company in the basement of the Sanctuary. 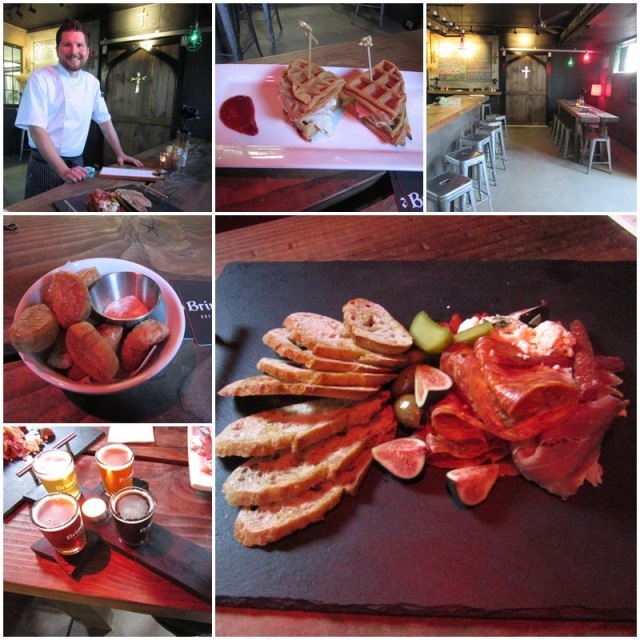 Matt and Laurie are food lovers who feed food lovers with a focus on local ingredients and fresh ideas. They support our local farmers and take pride in our community. Crave Local Fresh is certified with FEAST ON, a criteria-based program that recognizes businesses that are committed to showcasing Ontario’s unique tastes. FEAST ON members are committed to developing Ontario’s culinary identity by celebrating regional tastes and championing local, seasonal ingredients. One of your other architectural restoration projects is the Belltower Sanctuary. We’d like to hear more about this historic property and the evolution it has undergone. How do the Sanctuary and the Belltower Sanctuary work together? Located at the corner of Dufferin Street and Central Avenue in downtown Fort Erie, the Bell Tower – Sanctuary is our second project that includes the transformation of a former church. 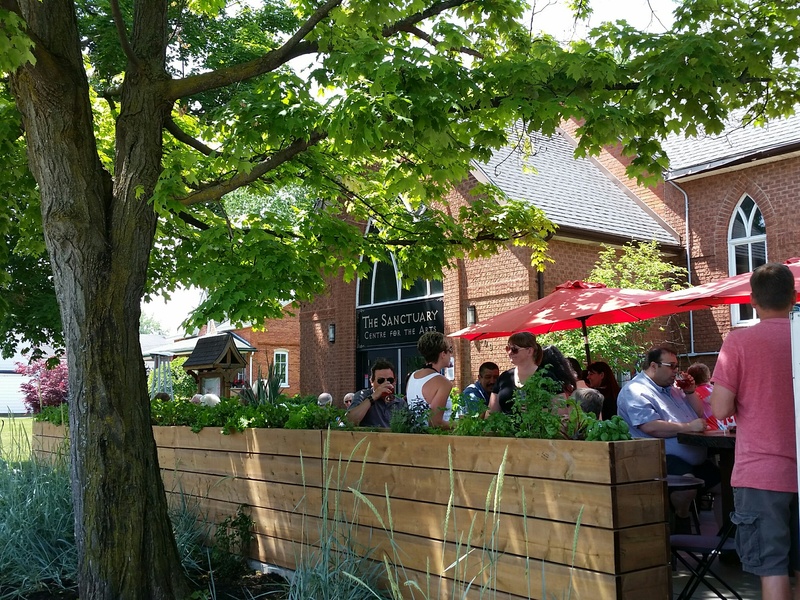 With its location in historic Bridgeburg Station, the Bell Tower – Sanctuary is a collective of like minded people, groups and businesses that are working together to develop a centre of creative activity that will lead the resurgence of downtown Fort Erie. The Centre is focused on arts, entertainment, recreation and creative start up businesses working in collaboration. The Bell Tower – Sanctuary’s mission is to create a centre that will bring people together to enjoy all types of activity. Our goal is to be a hub of energy for the community, to make it stronger and more vibrant. The building itself also has an interesting past – built in the early 1900s, this was originally a United Church to which an addition was added in 1940. The building was in great shape when we bought it in 2012 and it has a beautiful organ. 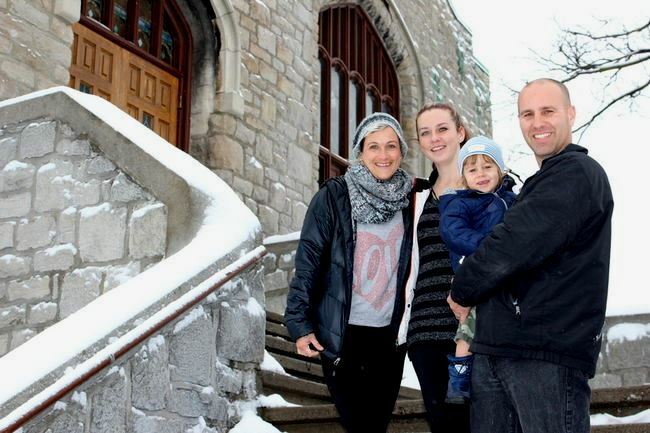 The Bell Tower – Sanctuary is still ramping up and has already been holding concerts, theatre classes, kids’ arts camps run by the Fort Erie Arts Council and other special events. We are working on expanding the programming at the Bell Tower – Sanctuary. The Sanctuary Centre for the Arts and the Belltower Sanctuary are part of the Fort Erie cultural and tourism scene. Please tell us a bit more about Fort Erie, Ridgeway and Bridgeburg. 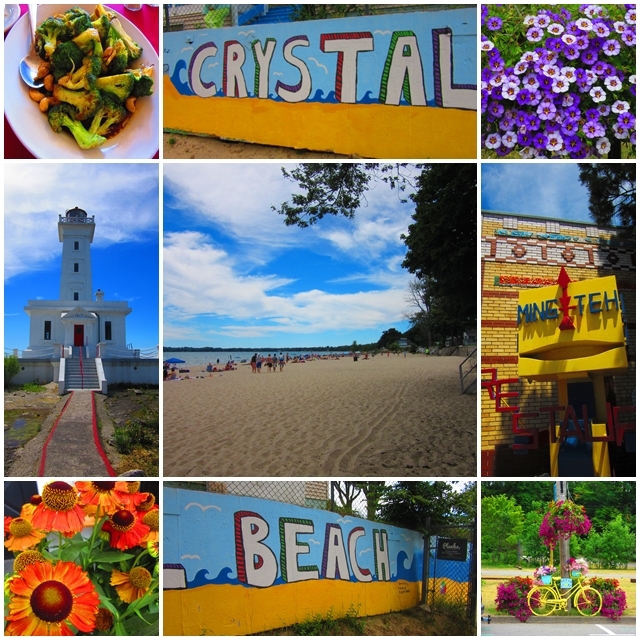 Why should people visit Fort Erie? Fort Erie / Ridgeway / Crystal Beach are all part of a wonderful small lake front community that offers so much to do in the town and the surrounding area. Most of Fort Erie is located along the waterfronts of Lake Erie and the Niagara River and has a long standing history as cottage country. Waterfront enthusiasts will find various marinas and beaches, and Fort Erie is a great place to relax and enjoy nature. The proximity to Buffalo is such an asset as Buffalo blazes a new path forward. 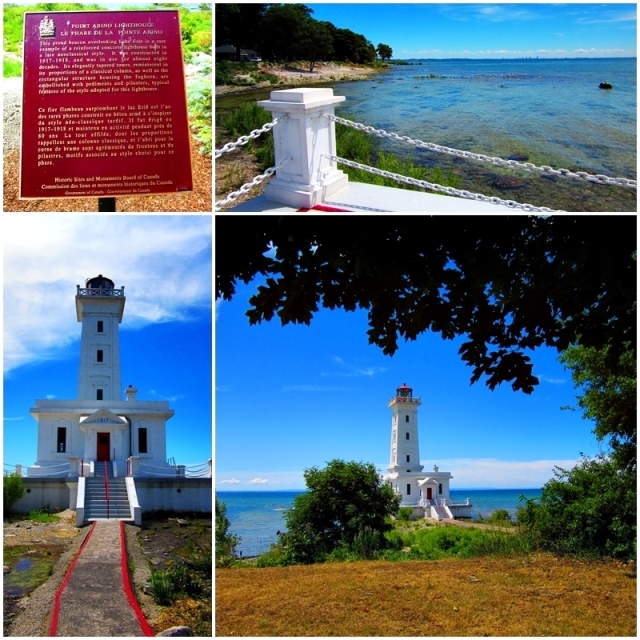 There is so much history to the area related to the War of 1812 and the famous Battle of Ridgeway of 1866 when Irish-American invaders, the Fenians, attacked Canadian troops. This battlefield was designated a National Historic Site of Canada in 1921 and is the last battle fought in Ontario against a foreign invasion. Fort Erie has several big attractions; there is, of course, historic Fort Erie – the “Olde Forte” offers a taste of life during the War of 1812 with its battle re-enactments. Crystal Beach boasts Caribbean rated sandy beaches while Safari Niagara is home to some of the planet’s most interesting and exotic animals on more than 100 acres of parkland. 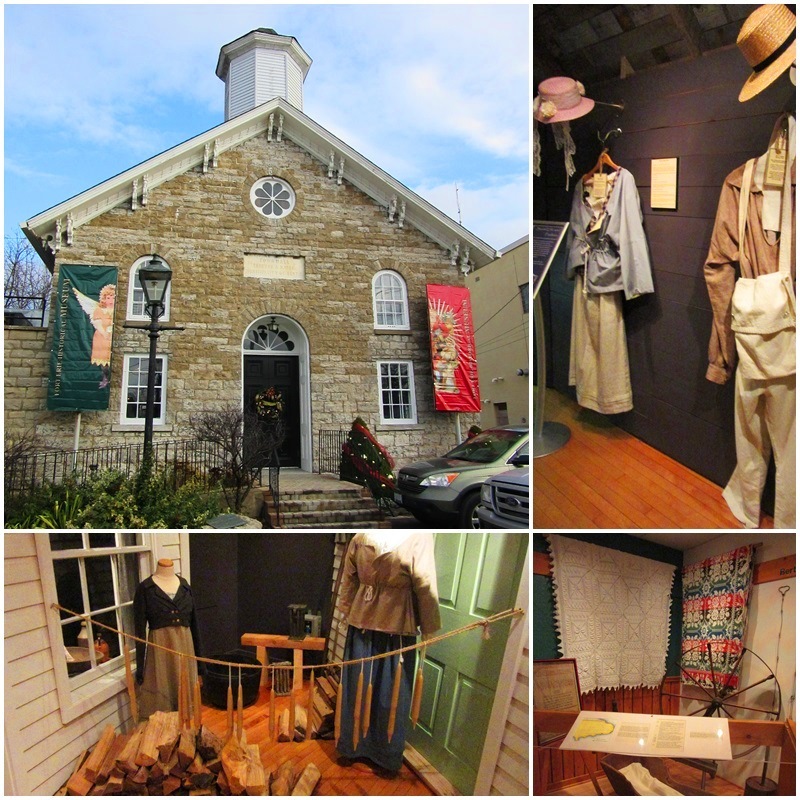 History lovers will enjoy some of Fort Erie’s Museums, such as the Fort Erie Historical Museum, the Fort Erie Railway Museum, the Ridgeway Battlefield Site and the Mewinzha Gallery and Interpretive Site that honours the First People that lived and traded in this area. 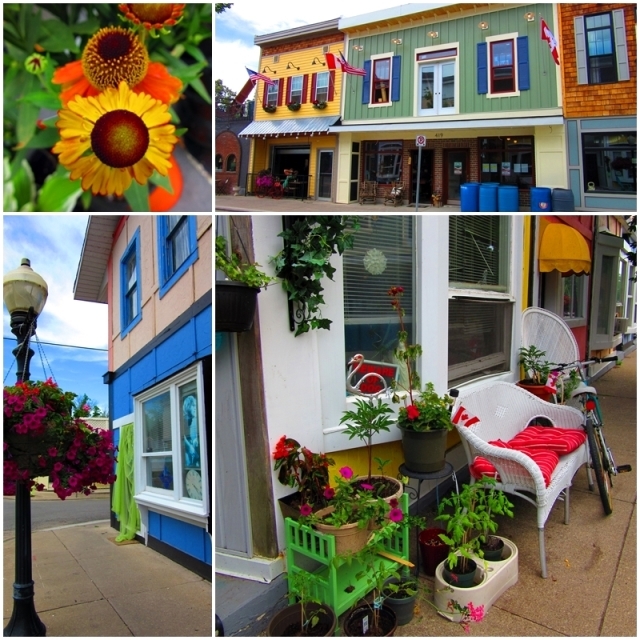 Big festivals attract countless people to Fort Erie every year, first and foremost the Friendship Festival, an annual five day international celebration of Canadian and American national holidays. This huge event draws more than 100,000 visitors from Western New York and Southern Ontario to its celebrations in Fort Erie and Buffalo. The Ridgeway Summer Festival features great food, good music, more than 60 vendors and lots of fun. Canoeing and bike riding are also very popular in Fort Erie while culture lovers will enjoy productions by the Garrison Little Theatre and the Dominion Repertory Theatre. You touched on some of the future plans for the Sanctuary, such as expanding the distribution area for your brewery and enclosing the outdoor patio. What else are you working on and what is in store for Jason and Nadine? We believe that we can increase the synergy of the building by integrating the brewery with the upstairs space. Fortunately we still have room to expand the brewery under the current by-law. As the brewery grows we can expand the production and restaurant component as well as enhance the concert experience. Naturally, we are planning on bringing in even more musical acts and are currently working on the fall and winter concert series. In the coming years we will probably also host more boutique weddings. Couples have booked our spaces for unique weddings with 50 to 100 people; the couples usually book the Sanctuary and do the photo shoots in the Brimstone Brewery. Our patio is also a big seller. Growing the programming in the Bell Tower – Sanctuary is also one of our big commitments. There is always lots to do at the Sanctuary Centre for the Arts in Ridgeway and the Bell Tower Sanctuary in downtown Fort Erie. Thank you, Jason, for taking the time to introduce me to some of your favourite places in Fort Erie and for sharing your extraordinary story with us. We wish you all the very best for your efforts in making Fort Erie an even more vibrant community and exciting travel destination. For more information and images about the Niagara Region please visit our Niagara Travel Guide on Facebook.